On Sunday Ani doesn’t go to school. She goes to market with her mother. She wants to buy some vegetables such as cabbage, carrot and potatoes. Then she goes to the fishmonger to buy some goldfish and cuttle fish. In the market is very crowded. Marked and choose the correct answer A, B, C or D the question number 1 to 5 based on the text above! 22. … and … go to market. 33. She buys some … and … at the fishmonger. 66. Ade : Where are you sleeping? 77. I want to take a bath. I need a … to wash my body. 99. Student: I am … sir, I come late. 110. Nita: …. You close the door? Ari: Oh sure, I’ll close it. 112. Mr. Tono : Excuse me, Sir, where do you live? 113. Walter: Hello, good afternoon, may I help you? Customer: Good afternoon. Yes, I want to order some food. Walter: What do you want to order, Sir? Customer: I want a plate of fried rice and fried chicken. Walter: Wait a minute, Sir. 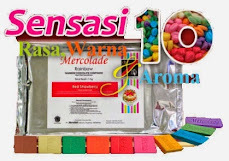 Block / Sorot ruang kosong di bawah ini untuk melihat kunci jawaban!